When the Left For Dead 2 first piece of DLC was released, being a big fan of it, I downloaded it immediately. 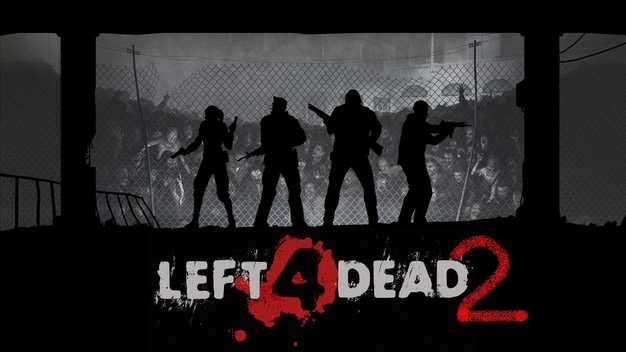 The main hook of this DLC is that it ties in the gap between Dead Centre and Dark Carnival, but also you meet the original cast of the first Left For Dead game. Hoping that you find more about what the original cast have been doing, you rarely speak to them as much as a disappointment this is, it does just chuck you into the new campaign level. The level itself is pretty good it can come across quite linear but in my eyes the coolest way is to be killing hordes is down a small alleyway just because the tension just grabs you and turns you into a zombie-killing machine. While the campaign is quite a short one (estimated 35-40 minutes) it does improve a lot faults from the other campaigns for instance the hordes don’t last very long, but in the Passing especially in the sewer segment they just keep on going and nothing is going to stop them unless you gun them down. Also it has numerous nice changes to the game for example the ending isn’t just waiting for a chopper to come get you while you fight off the horde, you have to get gas for the generator to work to lower the bridge, it brings in a new kind of scenario where your in desperate struggle to find these gas canisters while fending off tanks and other types of zombies, including the new type known as the Fallen survivor which are just essentially just zombies with either med packs or pain pill or even a little bit of ammo or a new gun, which is pretty handy but don’t bother looking out for one desperately as you will get caught with a bunch of zombies wanting you dead. The new weapons I must say are awesome the M-60 is defiantly the one to use throughout the game if you can withstand short bursts of it, but once you shoot any zombie in your way will be chopped meat in seconds and is hugely satisfying. but does gulp a lot of ammo. Next is the Golf and baseball bat which I think are just as good as any other melee weapon but do have a fun impact when hitting the zombies in the face (and is a pretty fun achievement to go with it). Overall the single player aspect of it is great fun with some fun scavenger type elements in the end, but the whole hook for the game is about what happened to the original survivors and who’s left, but the content just doesn’t delve into the story well enough to make you think wow I dint see that happening. But the new game mode is what you have to look out for which In my eyes is the best part of the DLC. Its called Mutations it is basically different styles of original game modes for example the starting mutation is realism versus mode which combines the realism mode (a everything is a lot harder and you have to search for things and rely on communication) while the other online people are the infected trying to kill and stop you getting to the end level anyway possible, it’s a fun idea and Valve are changing it every week to spice up the online modes. Overall the Passing DLC is pretty good it has all the elements you love from the single player as well as all the elements form the multiplayer at a pretty cheap price of 560 Microsoft points. But the lack of deep story line everyone was hoping does dampen your decision. It is defiantly worth the money despite its flaws.